Modern fish finders are based on a series of innovative technologies these days. You can forget about checking the weather to figure out where the fish is, but rely on accurate results for maximum efficiency is mandatory. With these aspects in mind, it might be confusing to determine which model is better, yet some units do stand up in the crowd. In our Humminbird Helix 5 review, we will be comparing two of the best rated fish finders from the prestigious manufacturer. So, what should you expect from the Helix 5 SI and DI models? More importantly, which one is better and what makes them so attractive for professional fishermen? At the first view, the differences between the SI and DI models from Humminbird Helix 5 might seem irrelevant. Both units share similar features, yet there are small differences here and there. Assuming that you know your fishing game, you should be able to determine which one is better in no time. If you are new to this industry, a little education is critical for a good decision. Once you have all the data available, deciding on the right unit becomes a matter of time only. So, what should you know before spending your money? According to most of the review, the three types of sonar available in the SI version will work wonders in the long run. You can count on Down Imaging, Side Imaging and DualBeam Plus. No matter which one you use, they are all supported by the transducer. The DualBeam Plus option is a classic 2D solution covering 20 degrees at 200kHz and 60 degrees at 83kHz. The Side Imaging option runs at 455kHz and covers 480 feet. As for the Down Imaging sonar, it works like the 2D one, yet the imaging provided is similar to the one given by Side Imaging. When it comes to the total depth, most experts recommend using the DualBeam Plus sonar. 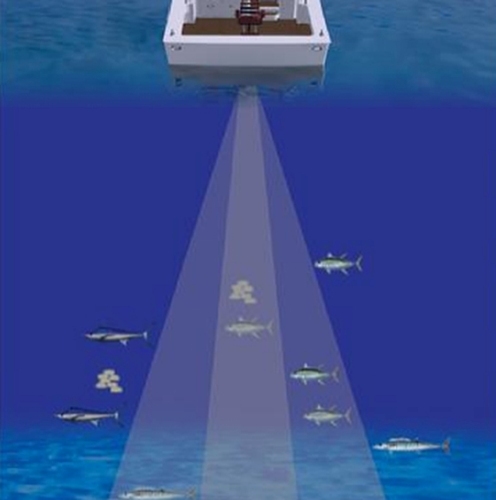 It is easy to tell why – its scanning goes down to 1,500 feet, which is impressive even for professional fishermen. Its accuracy is exquisite and imaging will clearly underline fish. As for other imaging options, Humminbird Helix 5 SI performs not as good as the DI. Results are still good, but not extraordinary. You can only reach down to 100 feet. Choosing the right option depends on where you fish. For instance, off shore waters are quite deep, while lakes and rivers can do with down and side imaging. It is also worth noting that the transducer is XNT 9 SI 180 and features a temperature sensor and 20 feet of cable. The GPS is highly accurate. It is a solid 5Hz internal unit. It will keep an eye on your position every 20 milliseconds. In other words, your position is calculated and displayed five times per second. It gets most details from top satellites – MSAS, EGNOS and WAAS, as long as they are available. Whether you want to know more about your location or a certain way point, the GPS will provide accurate details. If needed, it will save 50 trails, 45 routes and 2,500 way points. Obviously, it will calculate your moving speed as well. Based on a recent review, this model is not as perfect as newer generations, such as Helix 7. Despite being an older model, it still tops most of its modern competition. However, unlike newer models from Humminbird, it only comes with classic UniMap charts. They do not feature contour lines or specific details, such as the tide. UniMap keeps updating its charts on a regular basis though. The good news is you can grab charts from other providers, such as Navionics Gold, LakeMaster or HotMaps. Radar and AIS support are not available. Controls are available on a 5 inch display with a maximum resolution of 800x480. Images are clear and sharp, while the LED backlight helps at night. The IPX7 waterproof capabilities allow using it in the rain. A Gimbal mount comes with the package, yet you can opt for another kit. There are no touchscreen controls, but a keypad – excellent for when your hands are wet. Ethernet connectivity is not available, but you can still run upgrades and transfer data through NMEA 0183 support and a microSD card reader. 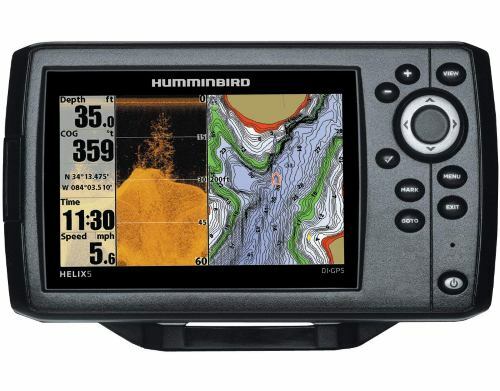 Just browse the Humminbird Helix 5 manual for instructions. Pretty much every Humminbird Helix 5 review will mention the additional attractive features that make this fish finder so special. Many of them are related to the sonar. Selective Fish ID and Bottom Lock are just some of the most popular one. The Circular Flasher option is just as handy for ice fishing. Unless you want to constantly keep an eye on the display, the Fish Alarm function will start ringing whenever a decent amount of fish is located in the area. 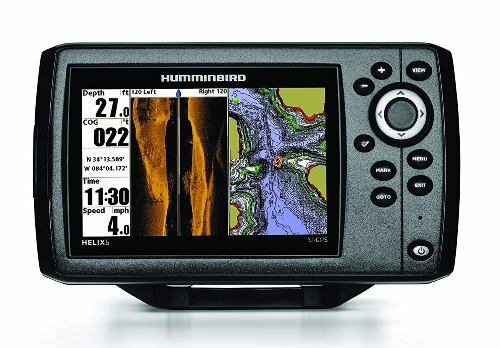 Humminbird Helix 5 DI is likely to impress with its GPS features. Once on the water, it can be powered from any 10V or 20V DC source. The display has backlighting for night fishing or rainy conditions, but it also provides the water temperature and speed. UniMap cartography is preinstalled by default and allows guidance on most lakes and river in the USA, as well as the coastline. It can store 45 routes and 2,500 way points. For extra storage or to capture images, you will have to insert a microSD card. 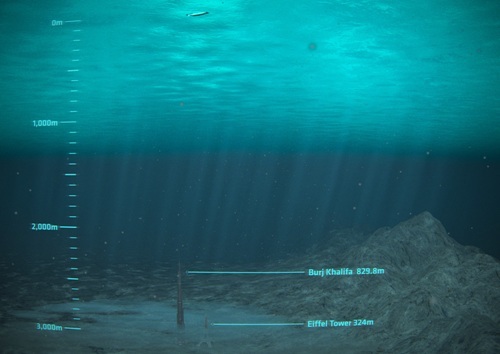 The sonar displays what happens underwater up to 350 feet. You can see the fish, your bait and vegetation or terrain shapes. You also get the depth of such structures for more accuracy. You can choose a wide 75 degree 455kHz option or a sharp and narrow 45 degree 800kHz setting. The DualBeam Plus sonar allows going down to 600 feet. Use the wide beam when interested in scanning a wide surface, while the narrow one is great for more accuracy. The display leaves no room for mistakes. Every Humminbird Helix 5 review will agree. Apart from the backlight feature, you also have a 256 color unit. It is compact and user friendly. One of the most attractive features is the split screen view, as it allows multitasking. For example, you can use one side to scan the underwater and another one to keep an eye on your way points through the GPS. The menu is straightforward, even if you have never used a fish finder before. Accuracy is flawless regardless of what you are doing. It makes no difference if you fish in the middle of nowhere or you move into a fast speed boat. Information updates more times per second and maintains its accuracy regardless of your speed. Everything is simple to interpret given the details on the screen. Certain small features can make your life easier. For instance, you can keep an eye on both DualBeam and DI sonar images at the same time when using the split screen. Moreover, you have a Freeze Frame setting and Snap Shot options. The Selective Fish ID feature is not to be overlooked either, as it allows you to decide on the game. The microSD slot is ideal for connectivity, as there is no Internet connection available. However, in order to take advantage of the updates, Humminbird encourages its users to register the device with its serial number once they receive their orders. Software upgrades are usually released once or twice every year. They are available on the official website. As a short final conclusion, it might be difficult to choose between one model or another. However, Humminbird Helix 5 DI seems to be more advanced than its alternative. Sure, it might cost a bit more, but you have a good value for money. More than 80% of all buyers find both of the mentioned-models as perfect. 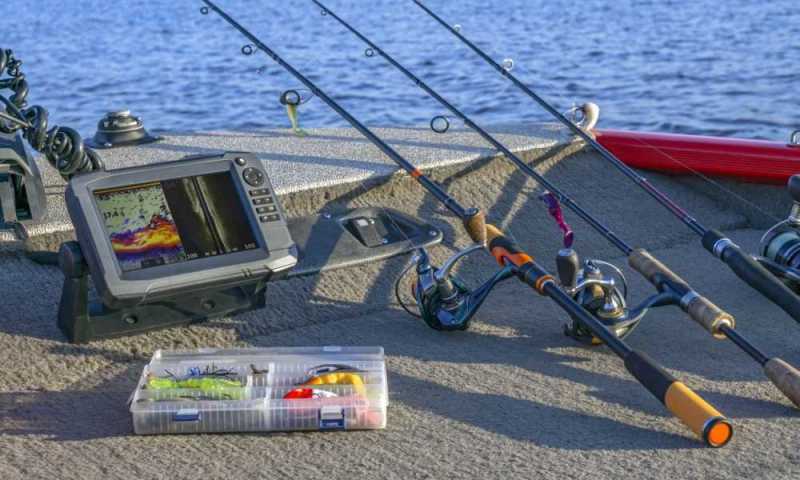 Furthermore, even if you choose the Helix 5 SI one, you will still benefit from an outstanding fishing experience. It is almost impossible to find a negative Humminbird Helix 5 review, so you can congratulate yourself for a good decision. Testing both products ourselves and rating them based on 50 different points, we believe the DI model deserves 4.8 out of 5 stars. Meanwhile, we rated the SI alternative at 4.7 out of 5 stars.